Test Coupon in 3G Position Marked and Ready to Weld. 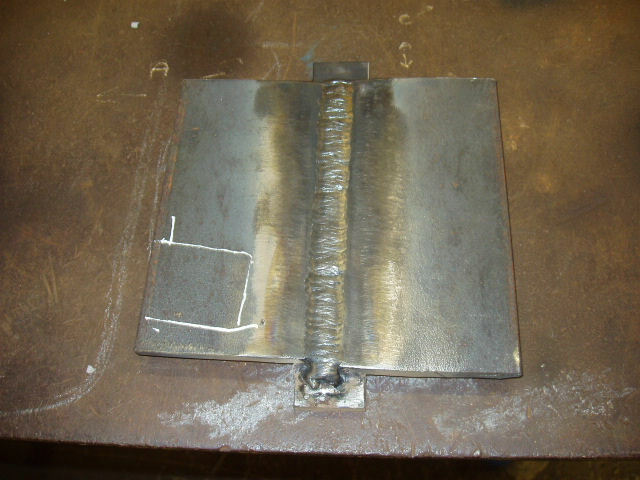 3G SMAW welding certification test almost complete. 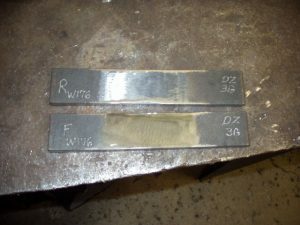 Successful 3G Stick Welding Bend Test Coupons. This is about passing the AWS D1.1 3G SMAW welder certification, followed by the AWS D1.1 4G SMAW welding certification. 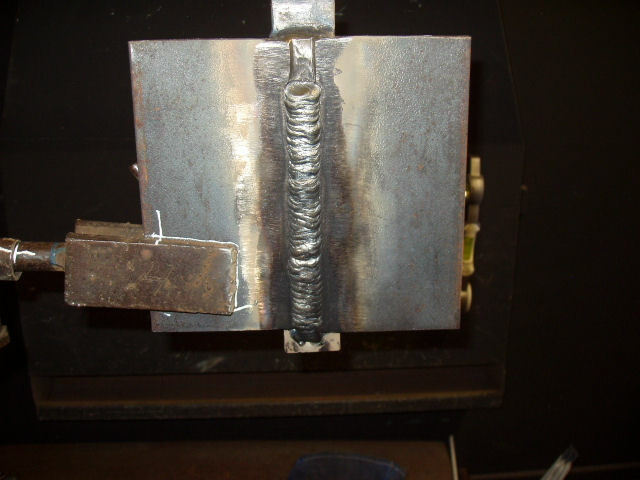 The purpose of this web page is to help anyone out there who is about to take these tests understand the welding procedure, and help give them a visual understanding of this welding certification. As the old saying states, a picture is worth a thousand words! 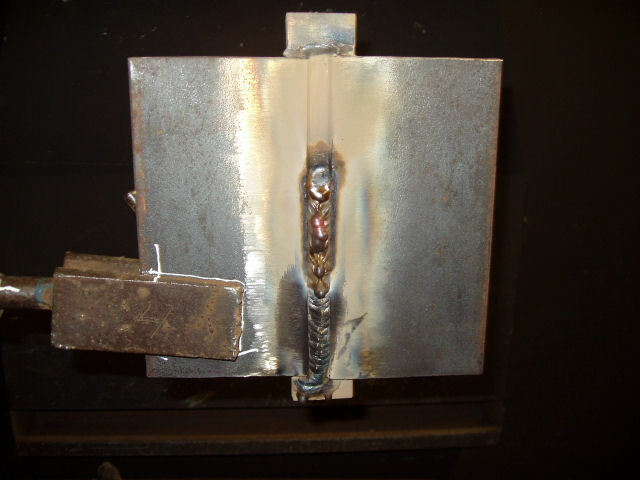 Why Take the 3G and 4G SMAW Combo Welding Certification? 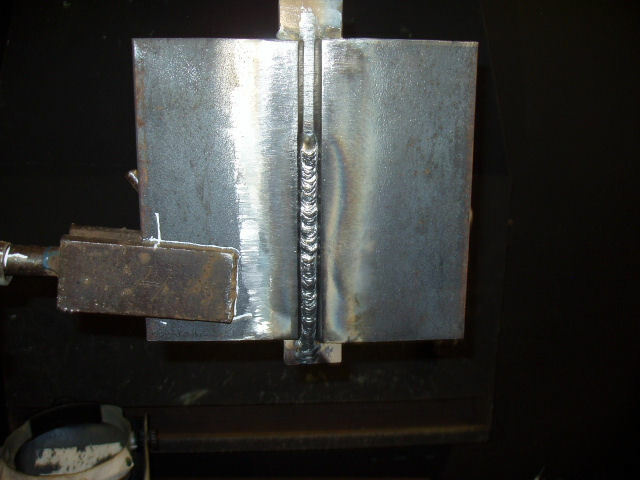 Since shielded metal arc welding is the process preferred for most outdoor work, it makes sense to have these two welding certifications. 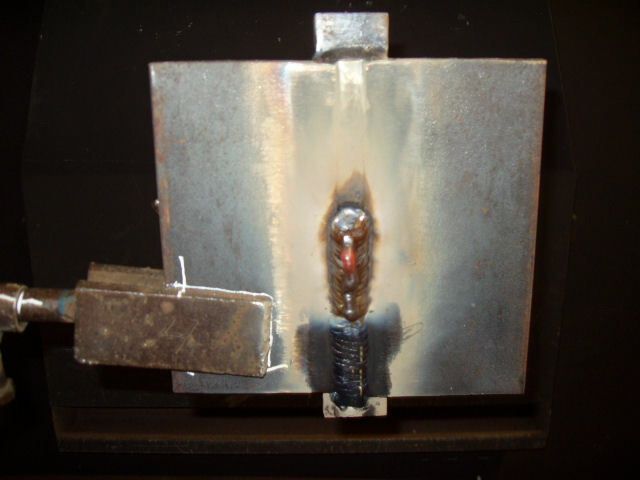 The 3 and 4G combo welding certifications, certify you to weld in the 1F, 2F, 3F, 4F positions, and the 1G, 2G, 3G, 4G positions, on structural steel. 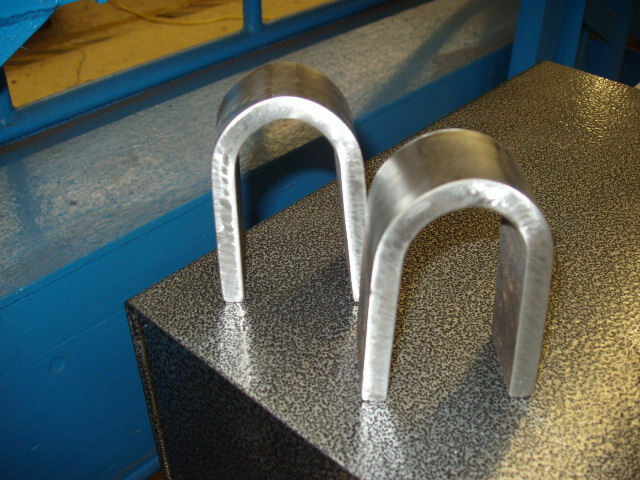 It also certifies you to do fillet welds on pipe with a minimum diameter of 24 inches. Originally I was going to take the AWS B2.1 SMAW 6G open root welding certification, but at the moment I am quickly running out of time, and money to take a risk of a harder exam. 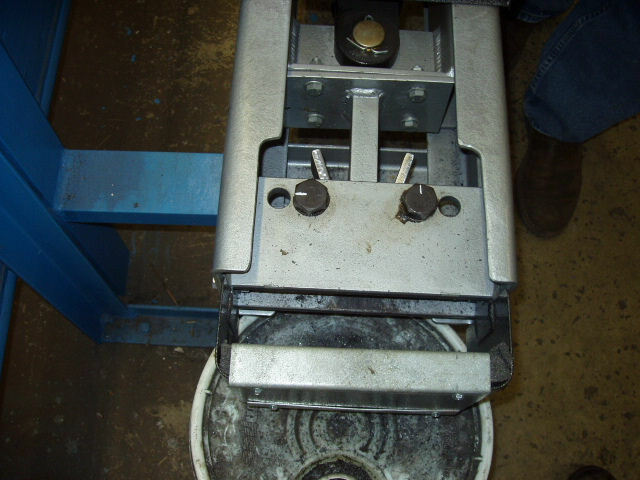 Plate is very easy to prepare compared to time involved in setting up pipe coupons. 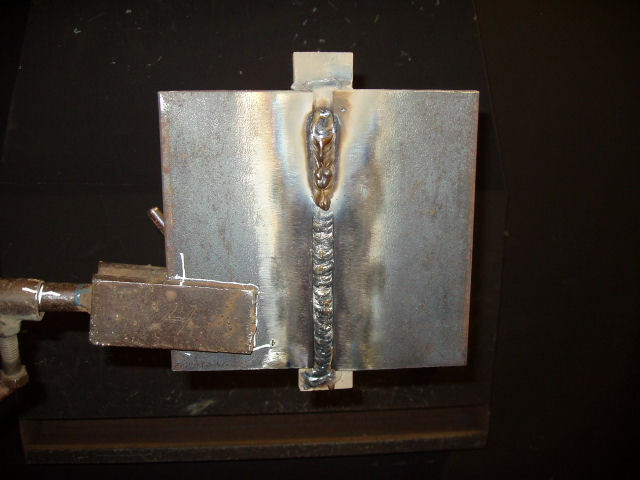 The 3G and 4G combo welding certification are the next best thing and are easy to pass. 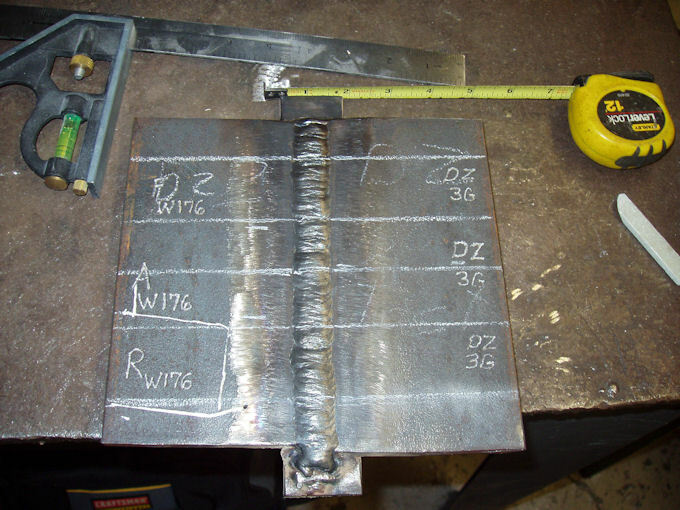 These welding certifications can be used for most industries and should be the bare minimum for anyone who is going to welding school! 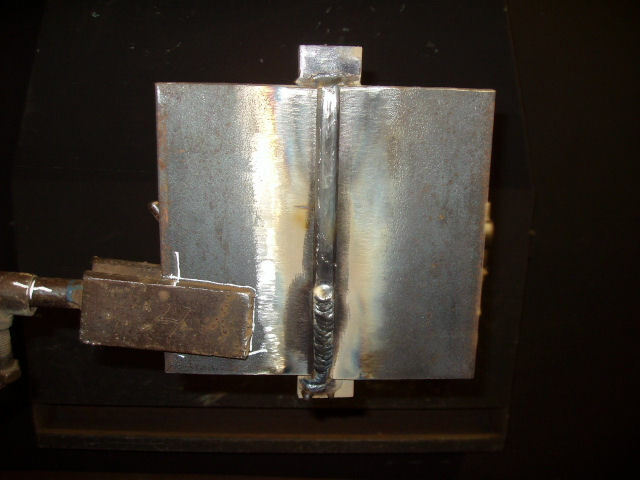 If you are in welding school don’t get tempted to leave school with just a 3G welding certification! Yeah you could get a job with just a 3G welding cert, but going back to school later is not that easy! 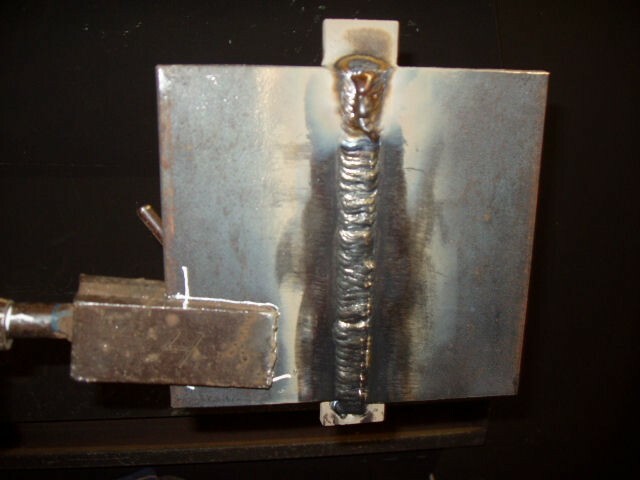 The AWS D1.1 SMAW 3G welding certification by itself certifies a welder to weld in the flat, horizontal, and vertical positions, without taking the flat and horizontal welding certifications. 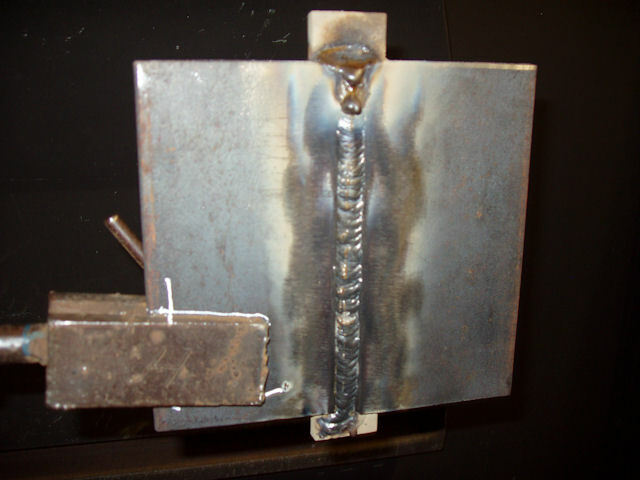 When combined with the 4G welding certification this certifies you to weld in the flat, horizontal, vertical, and overhead positions, including pipe that has a minimum diameter of 24 inches. 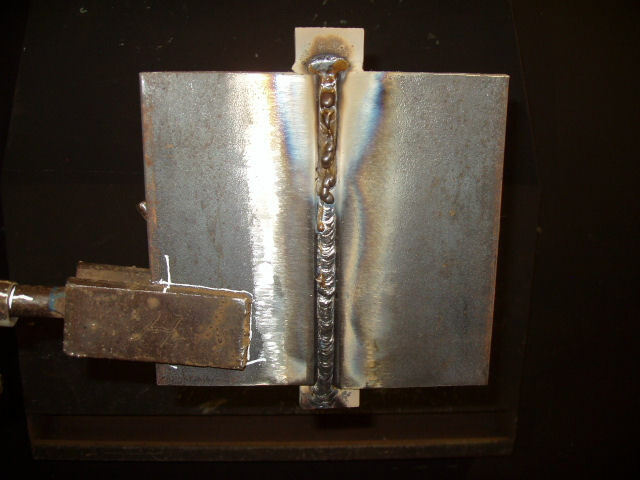 This welding certification comes in two thicknesses. First the 3/8 inch plate and the second is a 1 inch plate. 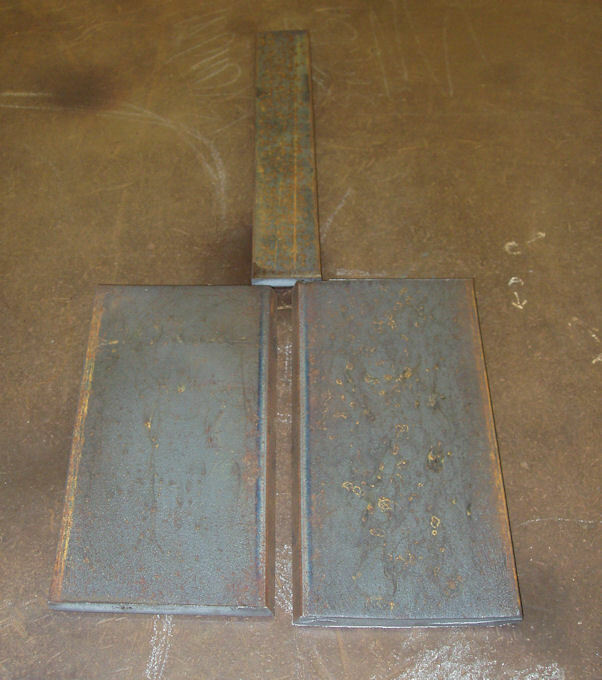 The test I am taking is the 3/8 inch plate test and it is the limited thickness procedure. 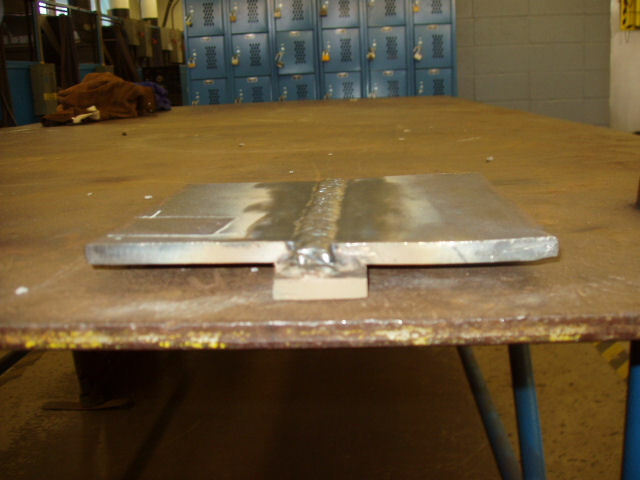 It certifies you to weld plate from 1/8 to 3/4 of an inch thick. Personally if I had a choice, I would go with the one inch thick procedure. 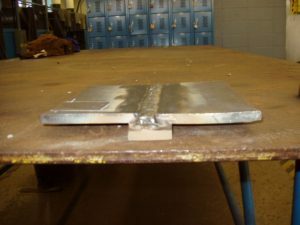 The 1 inch thick plate is an unlimited thickness procedure, but the school I am certifying at does not offer that procedure. 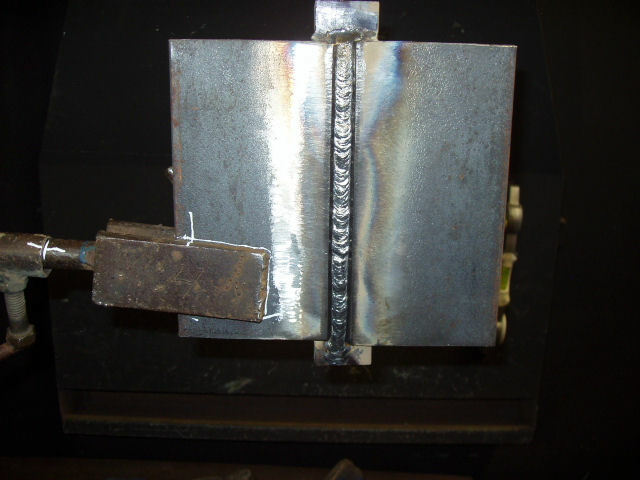 As with most welding certifications the AWS D1.1 SMAW 3G certification does have an expiration date. This welding certification is valid for 6 months, or 180 days, and if the welder does not weld with this process for six months, it expires worthless. On the back page of the welding certification there is a log table for either an employer or welding school to sign every six months. 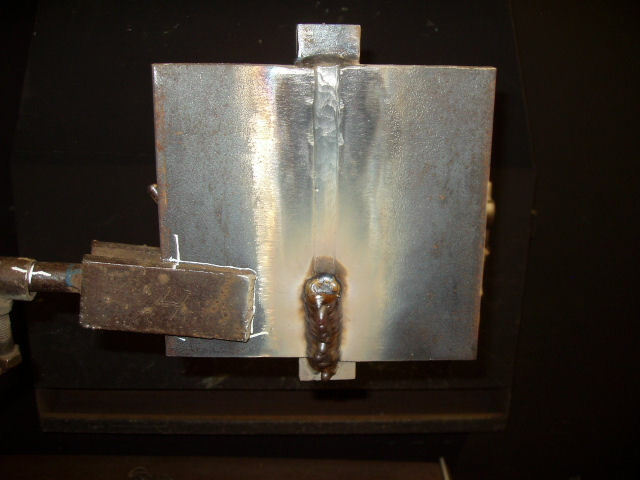 This provides documented proof that you have been using this welding process you are certified in. 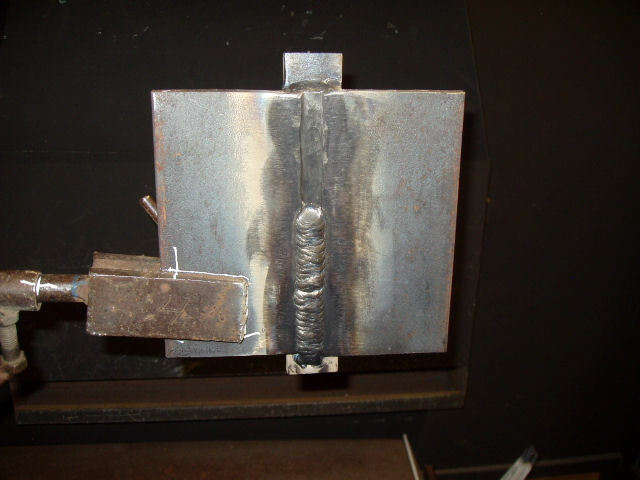 The procedure states that the SMAW welding machine settings for the 1/8 inch E7018 electrode need to be within the range of 90 to 140 amps. 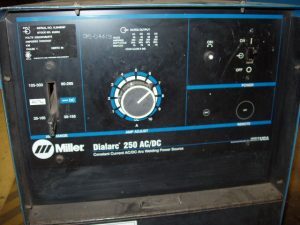 The machine I used was a Miller Dialarc 250 set at about 116 amps. This is the amperage I was most comfortable with when I set my machine on a piece of scrap metal welding vertical up. To get this setting I set the amperage range on 35 to 155 range, and then fine tuning the dial to 6 3/4. 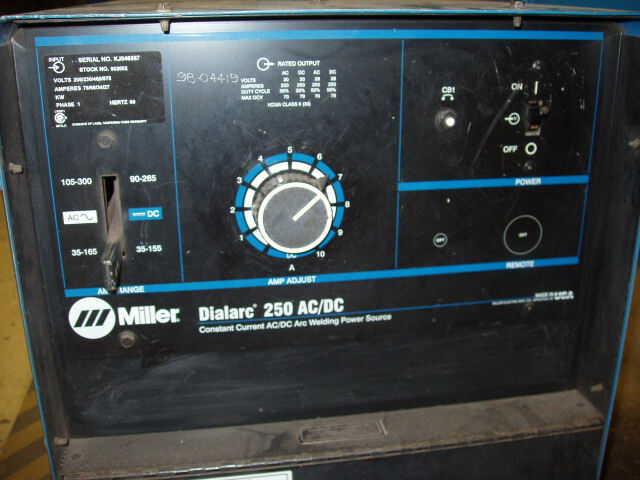 This amperage is figured out by using the amperage range of 35 to 155. Then taking the higher number, minus the lower number, (155 – 35) and you get 12 amps. The dial setting I am using has a range of 1 to 10; each number on the dial is worth 12 amps. So the starting amperage is 35 amps and then you multiple 12 by the number that the dial is set at. In my case the dial is set at 6 ¾ X 12 = 81 amps, plus the starting range of 35. That equals 116 amps. There is no right or wrong setting for this procedure, as long as you are within the procedure specifications of 90 to 140 amps. 5. After the fit-up is completed the inspector will check all the fit-up specifications. 6. 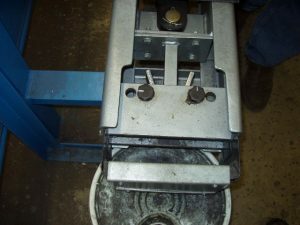 Now the test will be placed in the fixed position. The test piece will be marked in position with a marker and the inspector may see the test anytime during the testing. 8. Required temperatures. 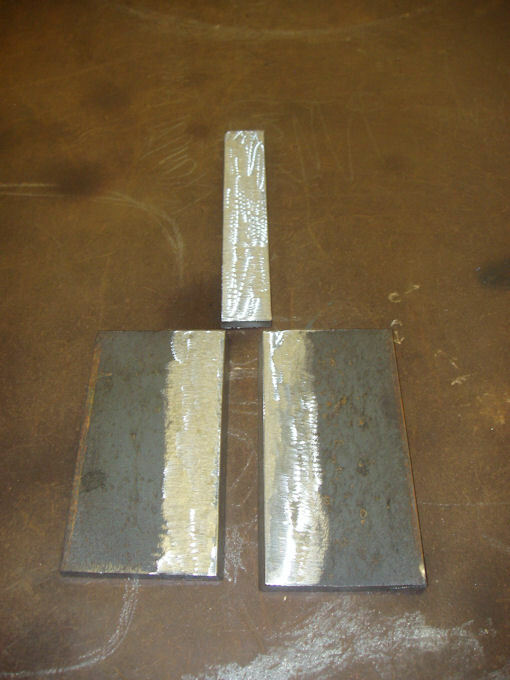 ASTM A36, 1/8" to ¾" thick base metal. Minimum preheat and interpass temperatures shall be as follows. 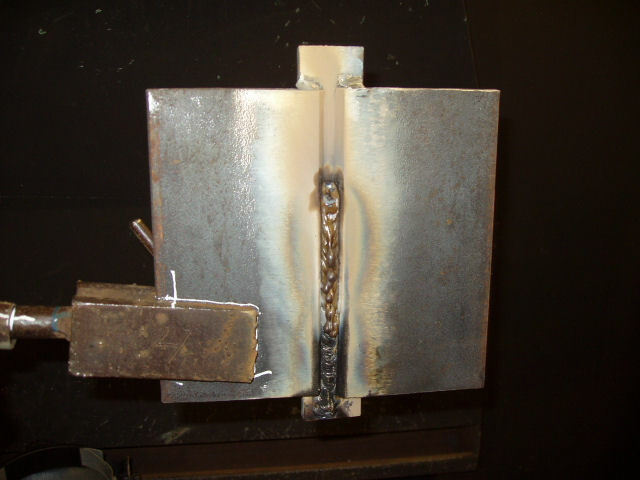 When the base temperatures is below 32 degrees, the base metal shall be preheated to a minimum of 70 degrees and the minimum interpass temperature shall be maintained during welding. This is how the test coupons looked before any grinding or tacking. 3G SMAW test coupons before preparation. 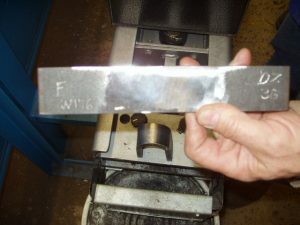 This is a picture of the mill scale ground back a minimum of 1" on the face of the bevel, with the oxidation on the bevel grind-ed to bare metal, and the backing bar grind-ed to bare metal.After that I removed the mill scale a minimum of a 1/4 of an inch off of the back side of the bevels. Each right on the mark of 22.5 degrees for a total of 45 degrees. 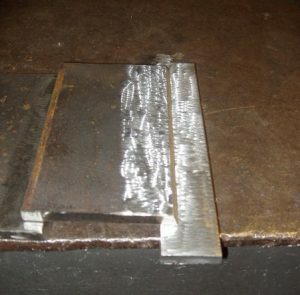 The procedure states the total bevel angle needs to be between 45 degrees and 55 degrees. I am well within the tolerance of the procedure. They are inspected and I get to go to move on. 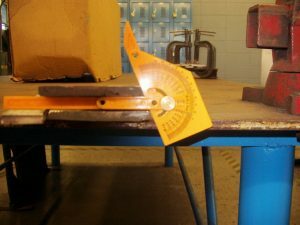 Checking the bevel with a protractor to make sure each bevel is 22.5 degrees. 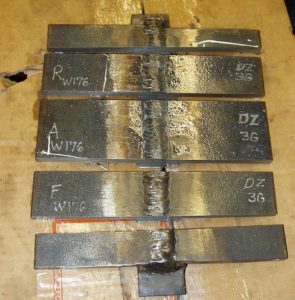 The pictures below are of how I set-up the test plates. First I tacked one side of the bevel to the backing bar. When one side is tacked I used a vice to make sure the bevel is sitting flat on the backing bar. 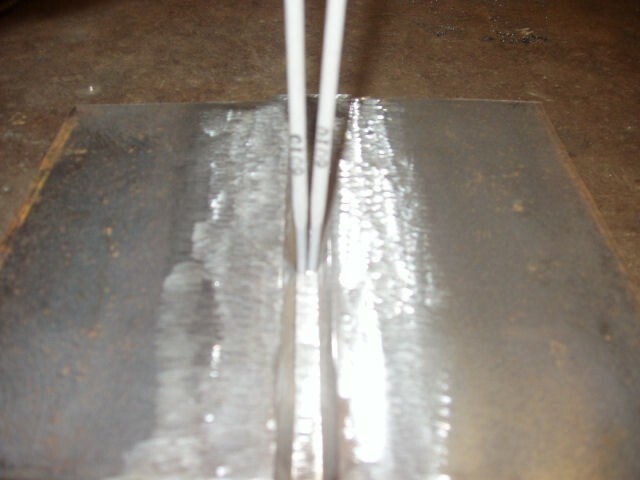 The root opening is set using two 1/8 welding electrodes. I simple put two 1/8 welding electrodes in the root opening, and when I could slide them past each other with just a slight scrape at the tightest point, the root is set to the proper width.Once I set the root opening and have one side tacked, I use a vice to clamp down the bevels to the backing bar and tack it into place. 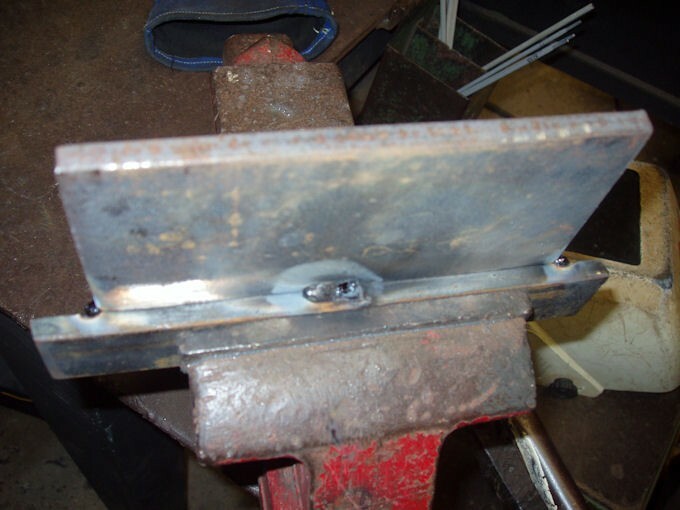 Finally I tacked the middle of the plate to the backing bar using the vice again. 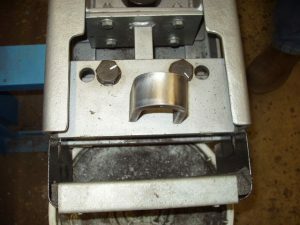 This is done to keep the backing bar flat against the bevel. Tacking the backing bar to the test coupon. 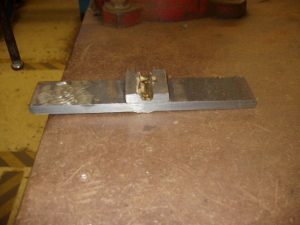 Making the second tack using a vice to make sure the coupons don’t move. 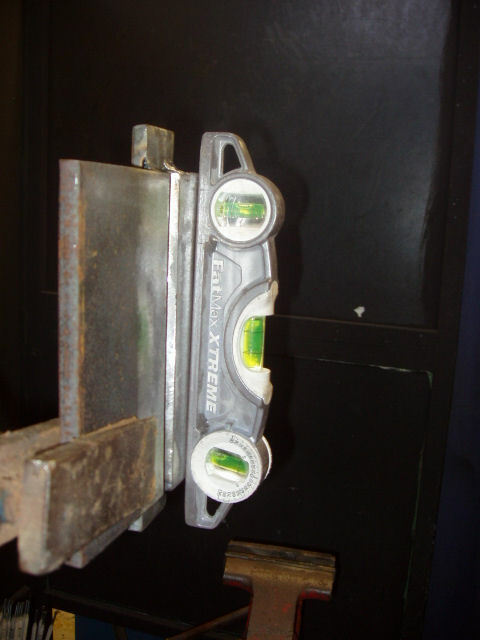 Checking the gap of the test coupons using two 1/8 inch electrodes as a reference. Once the coupons were tacked lightly and fell within the tolerances I finally added the middle tacks while the test coupon was in a vice to avoid distortion. The plates are put into position and inspected. 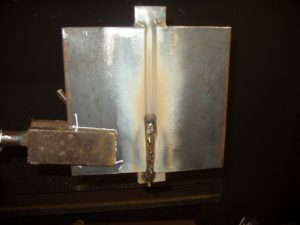 The arm holding the plates is marked in many places to ensure I do not move the test coupon when welding or cleaning. 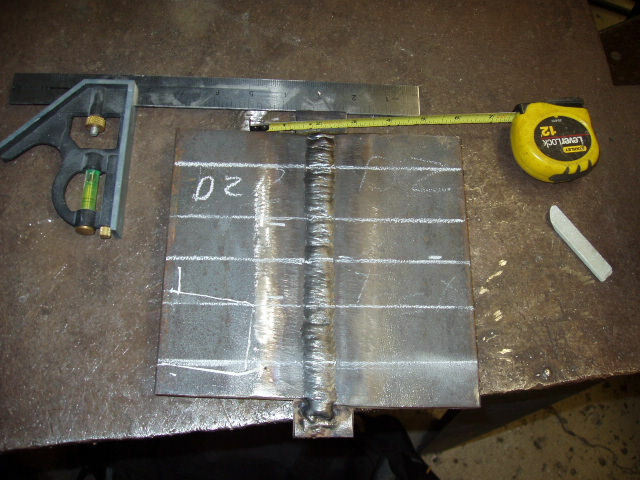 Checking the position of the 3G weld test to make sure it is completely vertical. 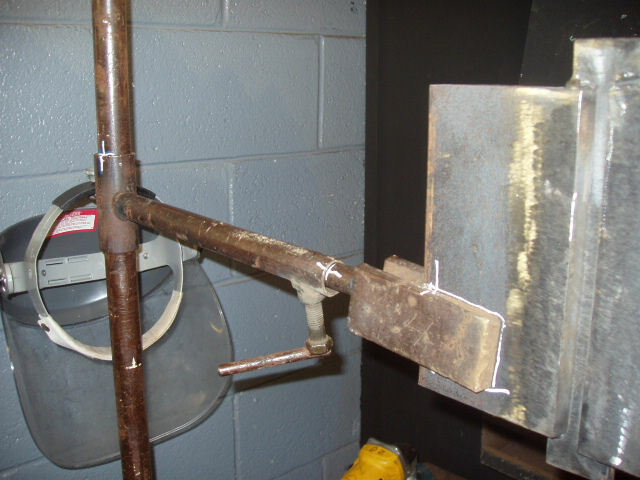 Just illustrating the proper position of 3G weld test. 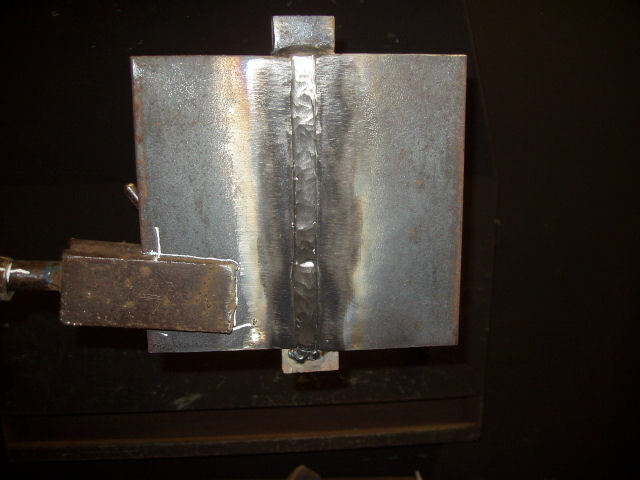 The test coupon is in position and the Certified Welding Inspector marks a white line to make sure the position does not change and you do not sheat. Side view of the test coupon after the CWI marked it in position. Starting the root weld did not require a preheat as the temperature was about 70 degrees outside. 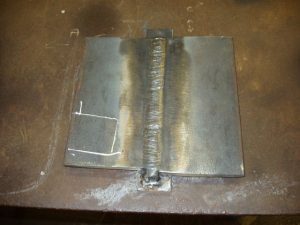 To start the root I got comfortable and started to weld. The technique I used was a side to side weave. I hold the sides of the bevel where the bevels edge feathers into the backing bar until I could see the arc of the electrode start to roll to that side. 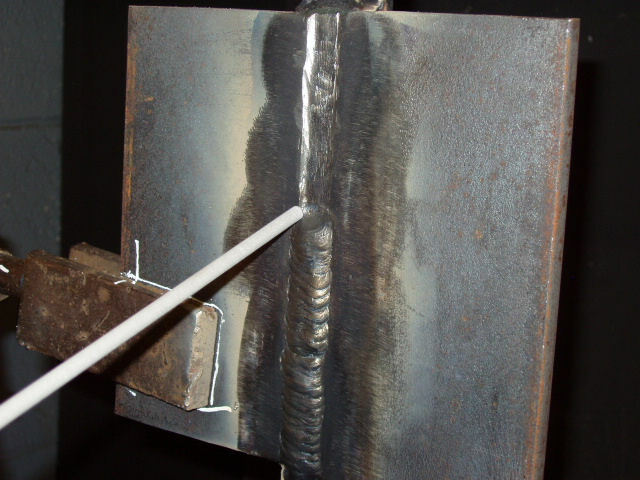 Once the arc is rolled and the flux is burned off on that side of the electrode, I weave onto the other side, and keep repeating that process. 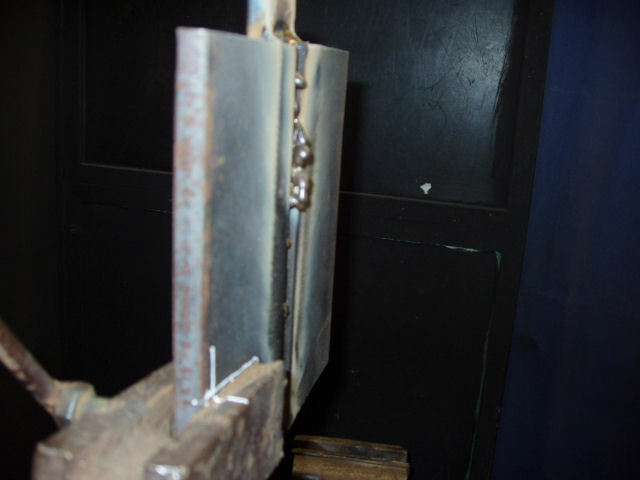 By allowing the arc to roll on the electrode it penetrates the bevel and gives the electrode a chance to ride up on the bevel for a moment. This helps to avoid slag inclusions. 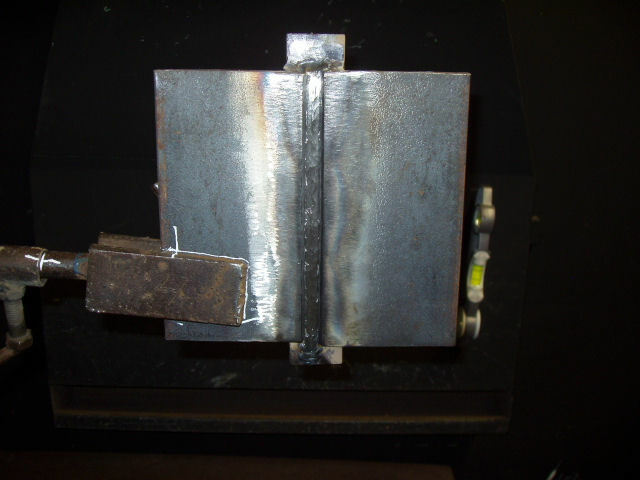 I used three welding electrodes and had two restarts. The first E7018 electrode used to start the root pass with the slag still covering. Second electrode used on the root pass. Just cleaned the second fill of the root pass using a wire wheel on my grinder. The root pass is finally finished and slag still covering before chipping and cleaning. 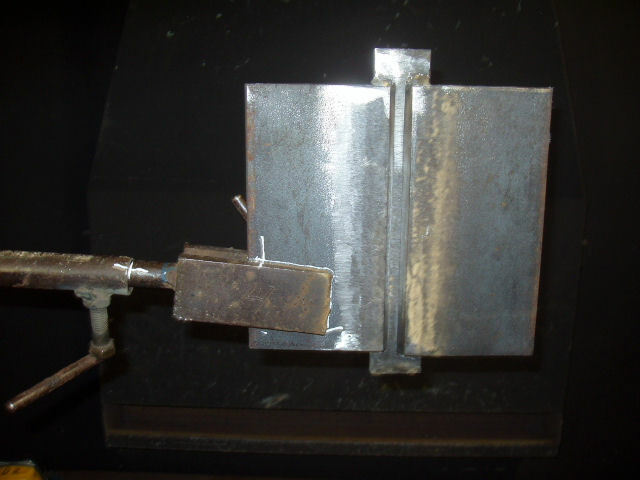 Side view of the slag for the E7018 electrode. Finally cleaned the root pass with a wire wheel and the Certified Welding Inspector needed to inspect the root because the welding certification procedure required it and It passed. Before moving onto the hot pass or filler pass, I let the plate cool till I could almost touch it with my hand. Second I did take a grinder and lightly ground the root pass. I did not need to do this, but why take a chance! Here is the root weld ground down. The root pass ground down flat. For the hot pass or fill pass I used the same technique as the root weld. 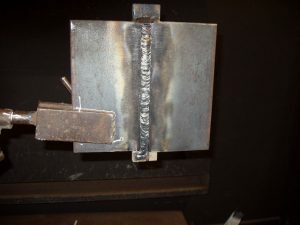 That is holding the sides and rolling the arc until the weld rides up onto the side of the bevel. I used four electrodes and had three restarts. Again I waited for the plate to cool and lightly grinded it down. I did not have to grind it, but why risk getting a slag inclusion. As you can see the first restart was a little rough. First weld of the fil pass with the slag still covering. Here is the fill pass cleaned with a wire wheel. 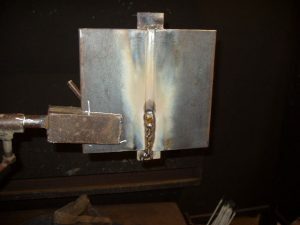 Here is the second part of the fill or hot pass with the slag covering. Side view of the slag on the fill pass. Third electrode used for the fill pass with slag still covering. Forth electrode used to complete the fill pass. FInally finished the fill pass and it’s cleaned. 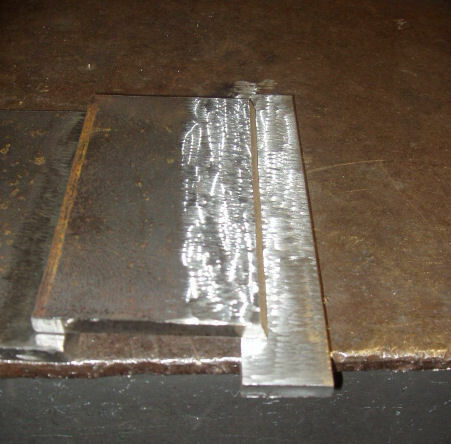 Fill pass ground flat and ready for cap weld. The cap was done using a weave technique holding the corner of the bevel until it was filled and the moving onto the other side. 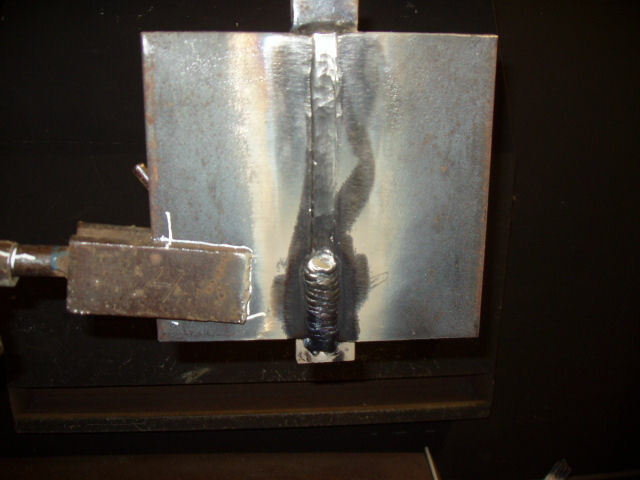 If you do not wash weld properly into the corner of the bevel you run the chance of not penetrating the test coupon properly. 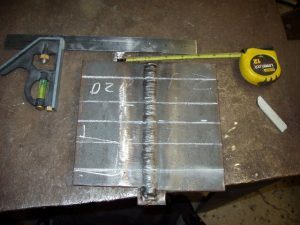 On the cap of the weld I used four electrodes. Here are the picture of the cap weld. Starting the cap weld using the weaving technique with the slag still covering. Here is the start of the cap cleaned. The second electrode used on the cap with slag covering. The second electrode used and the weld cleaned. The third electrode used for the cap weld with slag covering. 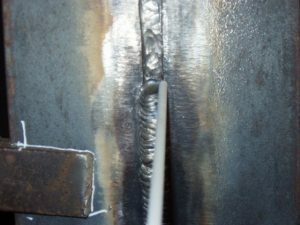 The third weld of the cap cleaned. Finally finished the cap and it still is covered in slag. Finally finished welding the cap and it is now cleaned ready to inspect. Here is where I held the electrodes when weaving the cap of the weld. As you can see the center of the electrode needs to be directly on the corner of the bevel. This gives the cap good penetration into the test coupon and keeps the risk of a face bend break to a minimum. This is where I held my electrode on the left. Once it filled I slowly moved to the right. 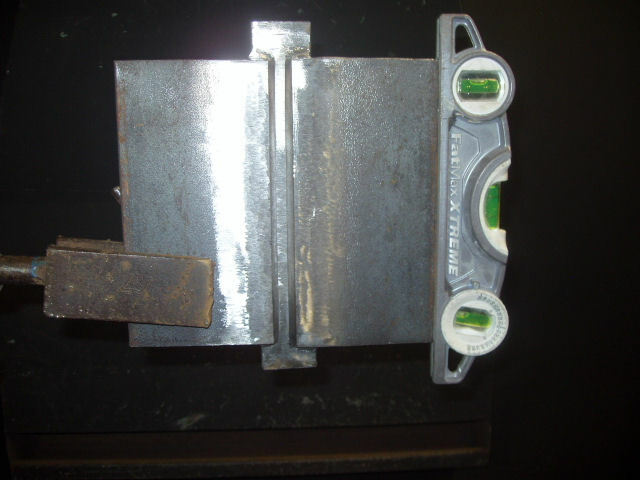 Preparing test coupons for a bend test is not difficult but it does require taking your time and doing it right. There are a few steps that need to be followed otherwise you may fail this test based on preparation! It is now the next day since taking the test and the plate has had more than enough time to cool. The first thing is to put a mark in the center of the plate with soap stone. Then you need to put a mark one inch above it and one inch below it. 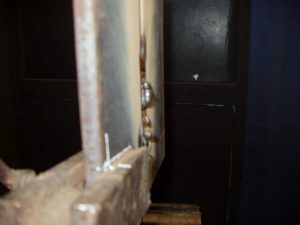 Then the next marks are 1½ inches above the top mark and again 1½ inches below the bottom mark. The two outside marks are the bend specimens. 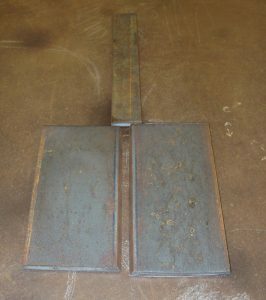 Using a square I marked lines across the test plate as to where they will be cut. 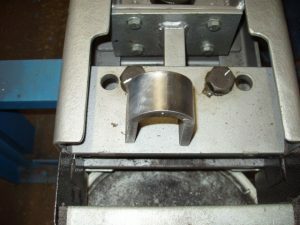 In the case of coupon failure the middle of the plate can be used as a backup coupon, as long as the failure of the bend falls within the AWS acceptance criteria for a bend test. Here I am marking the test coupons for a root, face and alternative bend coupons. Next my initials are inscribed, and the bend test specimens are marked, one for a root bend, the second for a face bend, and the third for an alternate. Just as a not the bend test specimens must be a minimum of 1 1/2 inches wide. The Certified Welding Inspector engraved my initials and the weld procedure test number with a etchall. 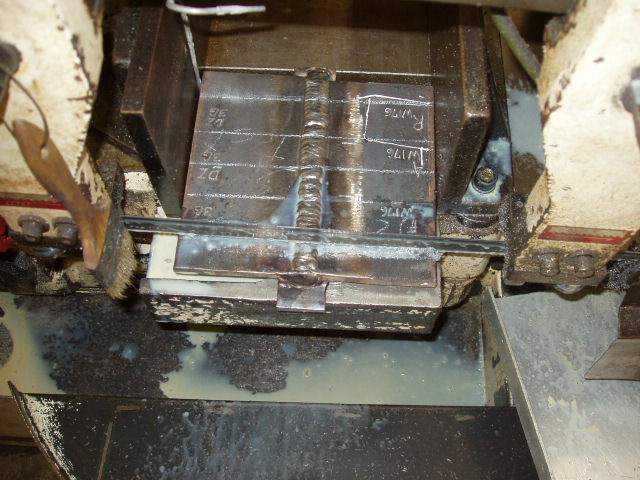 The test coupons are cut on a band saw. The cutting begins on the horizontal bandsaw. The test coupons are cut and ready for the backing bar removal. Now it is time to remove the backing bar off the test specimens. I did this by grinding the area where the root penetrates the backing bar. I grind just close enough to where I could lock on to the split backing bar with a vice. 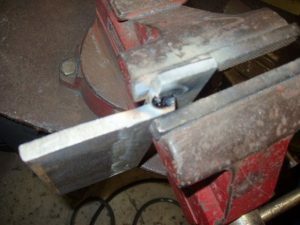 Then I put the backing bar into the vice with one side of the backing bar locked and pushed down with my hand on the coupon like a lever. Gouging the backing bar with a grinding wheel so the tabs can be broken off. The backing bar came off very easily. In my previous welding certification I used a chisel to remove the backing bar. Unfortunately with a chisel you run the risk of gouging into the test specimen. I personally think using the vice was a lot easier then using a chisel. I repeated this until the entire backing bar was removed. Here is the test coupon with the backing bar removed. Before grinding down the root and cap of the weld I took a center punch and marked the center of the weld. 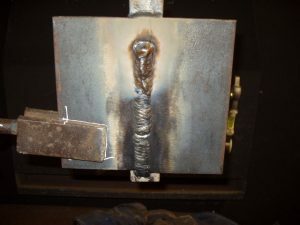 This is done to make sure the weld area is what is being bent. 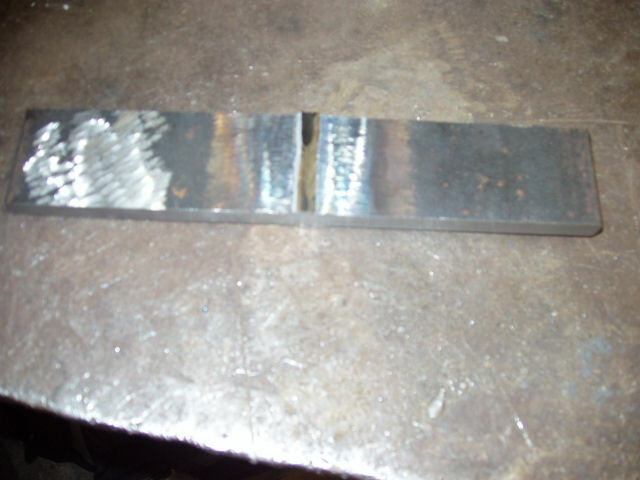 Next I grinded down the root and face of the weld until they were the thickness of the test plate. Followed by sanding the corners, and a light brushing with a buffing wheel, this was done to see if there was anything hiding under the surface. As a note if you grind below the surface of the test coupon the test will automatically be rejected! Here are the face and root bend coupons ready to bend. I will have two bends done. The first will be a face bend and the second will be a root bend. 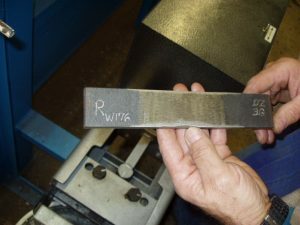 In the case of a failed bend test, I can still use the center of the plate as a backup coupon, as long as it falls within the acceptance criteria. Here is the specimen for the root bend, followed by the bending, and finally successfully passing the root bend test. The root bend specimen about to go into the bender. The root bend specimen is half way through the bend. The root bend specimen passed the bend test. 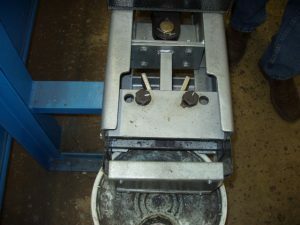 Here is the specimen for the face bend, followed by the bending, and finally successfully passing the face bend test. The face bend specimen ready to bend. The face bend specimen is half way through the bend test. Now I am ready to take Stick/SMAW 4G Welder Certification in combination with this one to be certified to weld in all position and that includes fillet welds on pipe over 22 inches in diameter.